On May 30, 1989, approximately 20,000 UTLA members went out on strike for higher pay and more administrative control. The strike lasted nine days starting on May 30, 1989. The months preceding the strike were highly contentious. Numerous negotiation tactics were deployed by both sides including teacher demonstrations, threats to withhold grades, threats to dock teacher pay and many hard fought court battles. Union demands included pay increases and better school conditions. Thousands of substitute teachers were mobilized in preparation for the strike, and teachers prepared by saving money to endure a long walk-out. Many of the city's 600 schools reportedly remained open but with lower attendance. The district reported that 8,642 teachers crossed picket lines, and public rhetoric by both sides was critical and intense. After negotiations, a settlement was reached and a three-year contract produced. Both sides claimed victory. Despite successful teacher pay raises obtained in the settlement, a massive economic recession in 1990 caused negotiations in 1991 to focus on preventing massive layoffs due to hundreds of millions in budget deficits. Salaries were cut to avoid layoffs, ameliorating the positive results of the 1989 strike. ^ "FSD Home". 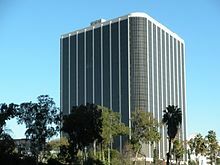 Laschools.org. Retrieved December 15, 2015. ^ a b c "Los Angeles Unified School District "Fingertip Facts" 2016-2017" (PDF). Retrieved March 2, 2017. ^ Sara B. Mata (September 5, 2006). "News Release". Google.com. Retrieved December 15, 2015. 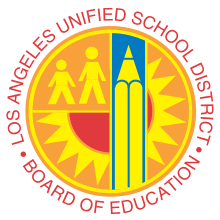 ^ "Events | Board of Education - Los Angeles Unified School District". Laschoolboard.org. Retrieved December 15, 2015. ^ "L.A. school board's Ref Rodriguez pleads guilty to conspiracy and resigns". latimes.com. July 23, 2018. ^ "DataQuest (CA Dept of Education)". Data1.cde.ca.gov. Retrieved March 2, 2019. ^ "The NEW LAUSD - Eleven Local Districts". Lausd.k12.ca.us. Retrieved December 15, 2015. ^ "Los Angeles Unified School District" (PDF). Laschools.org. Retrieved December 15, 2015. ^ "Miramonte aide's love letters to pupil investigated". Latimes. February 8, 2012. Retrieved December 15, 2015. 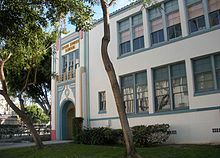 ^ "Schools chief announces entire Miramonte staff to be replaced | L.A. NOW | Los Angeles Times". Latimesblogs.latimes.com. February 6, 2012. Retrieved December 15, 2015. ^ "Los Angeles-area school teacher accused of sexually abusing up to 20 kids". Fox News. January 24, 2013. Retrieved December 15, 2015. ^ Howard Blume (December 19, 2012). "Jury awards $6.9 million to boy molested by L.A. Unified teacher - latimes". Articles.latimes.com. Retrieved December 15, 2015. ^ "Jury Rules LA Schools Must Pay $6.9M To Boy Molested By Teacher « CBS Los Angeles". Losangeles.cbslocal.com. December 18, 2012. Retrieved December 15, 2015. ^ a b c d Blume, Howard. "L.A. Unified to get $6.4 million in settlement over iPad software". Los Angeles Times. Retrieved September 12, 2017. ^ a b Pickert, Kate. "How the iPad Helped Bring Down the Los Angeles Schools Chief". time.com. Retrieved September 12, 2017. ^ "All Los Angeles Unified schools closed by 'credible threat' of violence". Msn.com. September 11, 2001. Retrieved December 15, 2015. 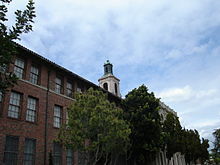 ^ "LA Police say schools threat was 'not credible'". 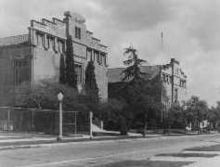 San Gabriel Valley Tribune. December 12, 2015. Retrieved December 12, 2015. 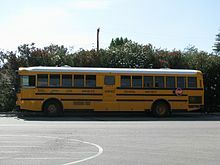 ^ "Threat that closed down L.A. schools appears to be a hoax, congressman says". LA Times. Retrieved December 16, 2015. ^ "LAUSD threat live updates: Second-guessing is easy, L.A. police chief says". LA Times. Retrieved December 16, 2015. ^ "Michelle King will head L.A. schools as the search for a superintendent continues". LA Times. Retrieved March 2, 2016. ^ "Handling of L.A. schools shutdown offers a civics lesson". LA Times. Retrieved December 19, 2015. ^ "Teaching the teachers about Islam? Some say a workshop turned political". Orange County Register. November 18, 2017. Retrieved January 13, 2019. ^ Eitan Arom (November 3, 2017). "Dispute Over Bias in LAUSD Course on Islam". Jewish Journal. Retrieved January 14, 2019. ^ "Wiesenthal Center Demands LA Unified School District To End "Anti-Israel Mideast Workshop For Teachers" | Simon Wiesenthal Center". www.wiesenthal.com. Retrieved January 14, 2019. 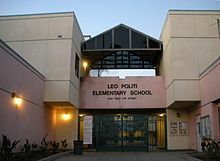 ^ "Why Is the LA Unified School District Pushing a Palestinian Narrative?". Algemeiner.com. Retrieved January 13, 2019. ^ "An earlier pioneer on the L.A. school board". LA Times Blogs - Readers' Representative Journal. April 7, 2010. Retrieved January 16, 2018. ^ "Los Angeles All District Honor Band". Laallcityband.com. Retrieved December 15, 2015. ^ Hector Tobar (May 13, 2011). "LAUSD librarians: The disgraceful interrogation of L.A. school librarians". Latimes. Retrieved December 15, 2015. 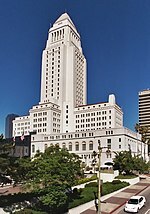 ^ "California Budget Battle Continues — Which Way, L.A.? — KCRW". Kcrw.com. May 16, 2011. Retrieved December 15, 2015. ^ "District Enrollment by Ethnicity - Enrollment by Ethnicity for 2011-12". Dq.cde.ca.gov. Retrieved December 15, 2015. ^ "Old school rap: LA pupils face teacher for minor crimes". London Evening Standard. August 22, 2014. p. 26. 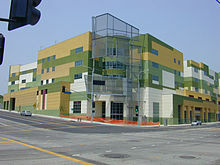 Hawthorne Math and Science Acad.